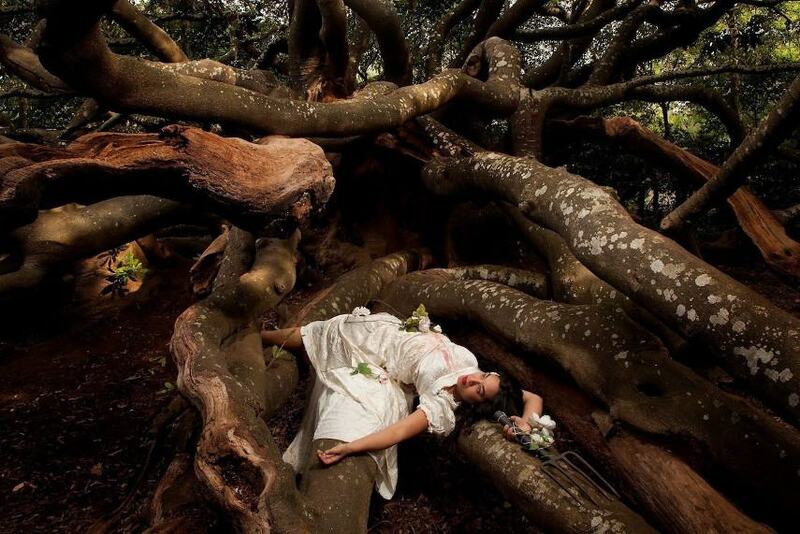 Thania Petersen is a multi-disciplinary artist from South Africa whose creative portfolio consists of photographic self-portraits, installation works and multisensory-based performance pieces. A direct descendant of Tuan Guru, an Indonesian Prince from the late 1700s who was brought to South Africa by the Dutch as a political exile, Petersen explores the vast themes of personal and historical identities. She does so by reconstructing herself in varies forms and via different mediums, often invoking what remains of our ancestor’s rituals and history in our lives today. Having successfully finished studies at the Central Saint Martin’s College of Art in London between the years of 2001 and 2003, Petersen continued to develop her craft in Zimbabwe and in South Korea, where she collaborated with the renowned Korean ceramist Hwang Yea Sook. Until the year of 2007, Petersen remained the resident painter of props and costumes for the London based Yaa Asantewa Arts Group at the Notting Hill Gate Carnival. After deciding to quit that position, Thania Petersen made a choice to settle back in Cape Town full time in order to perfect her art and reach its absolute potential. 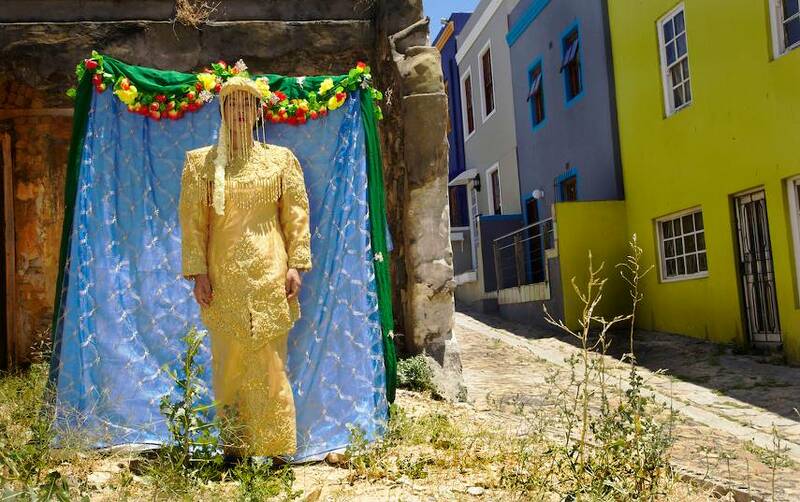 Right off the bat, her art began to reference points in the history of the African colonial imperialism, contemporary Westernized consumer culture, her deeply personal Cape Malay heritage and the myths of Sufi Islamic religious ceremonies. Tackling the art of Thania Petersen in an attempt to fully understand it is a challenging act, both on the visual and the conceptual level. Her works teaches us how we can start uncovering, resisting or trying to change the visual language that shapes our cultural landscape. 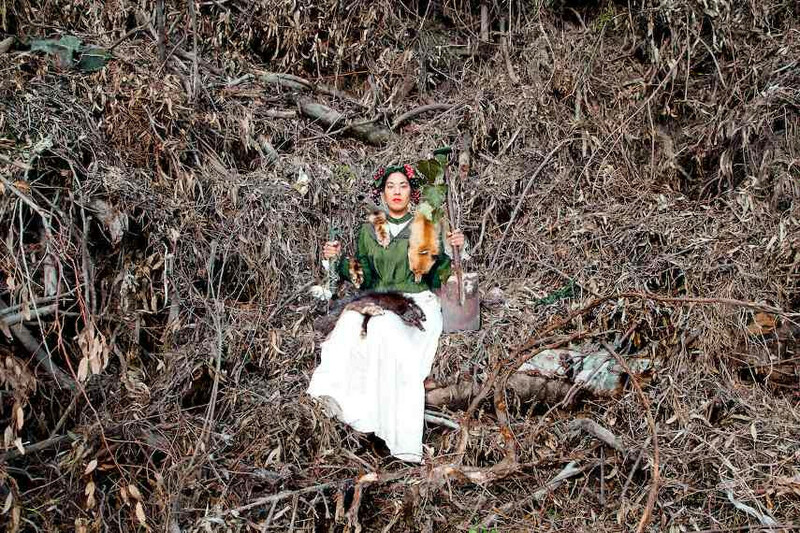 Thania often places herself directly within her pieces by using the context of her own history, becoming a subject of her photographs in the process and proudly staking claim to her lineage. In works like Queen Colonaaiers and Her Weapons of Mass Destruction and God Save Our Hedge , Petersen interrogates accepted conventions of how history is told. The revision of historical events usually means challenging orthodox views held by professional scholars, reflecting new discoveries of fact, evidence and interpretation of the motivations and decisions of the participant people. Thania Petersen does exactly that using a highly unconventional method very unusual when compared to what historians are accustomed to going up against. I am addressing ‘identity’ in contemporary South Africa where we have too easily accepted the labels that apartheid and post apartheid have given us. I stake my claim to my lineage and through my work I am reclaiming our heritage as individual people with a history of our own. At times, it feels as if the kind of effort described in this Thania’s statement may be too big of a bite for an artist to sink his or her teath in it with much success – however, Petersen manages to pull it off thanks to her boldness and uniqueness that allow her to construct a better future by taking back what has been robbed from her culture. Her art is a fascinating journey through her Muslim, Cape Malay, South African and Indonesian past, and is a unique experience you should not miss. 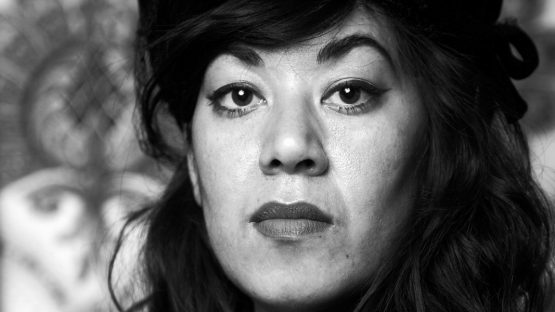 Thania Petersen lives and works in Cape Town, South Africa.